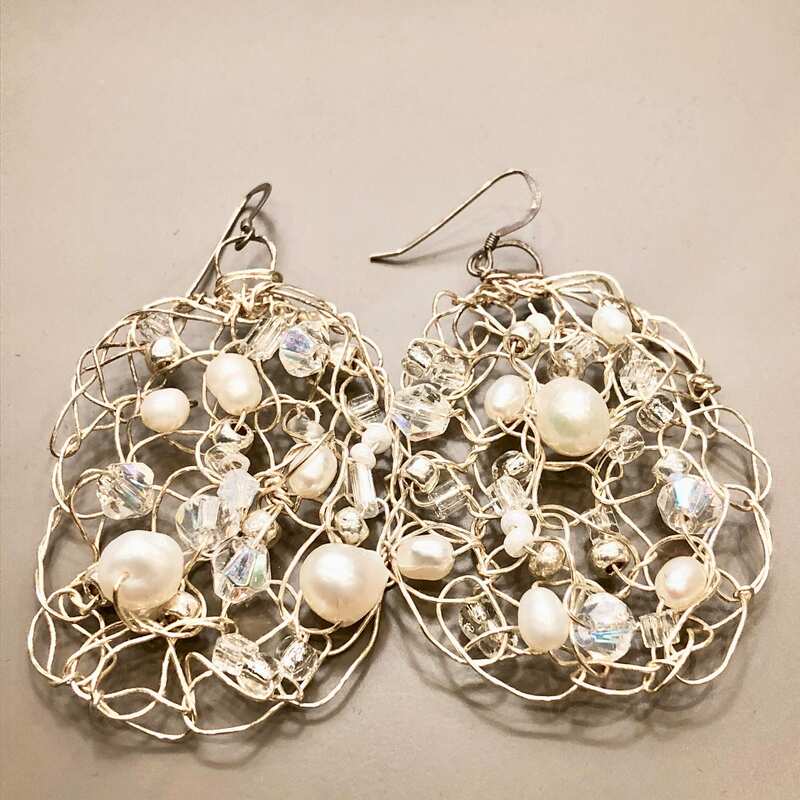 SJC10205 - Handmade sterling silver wire crochet earrings with pearls, crystal, moon stones and glass beads. 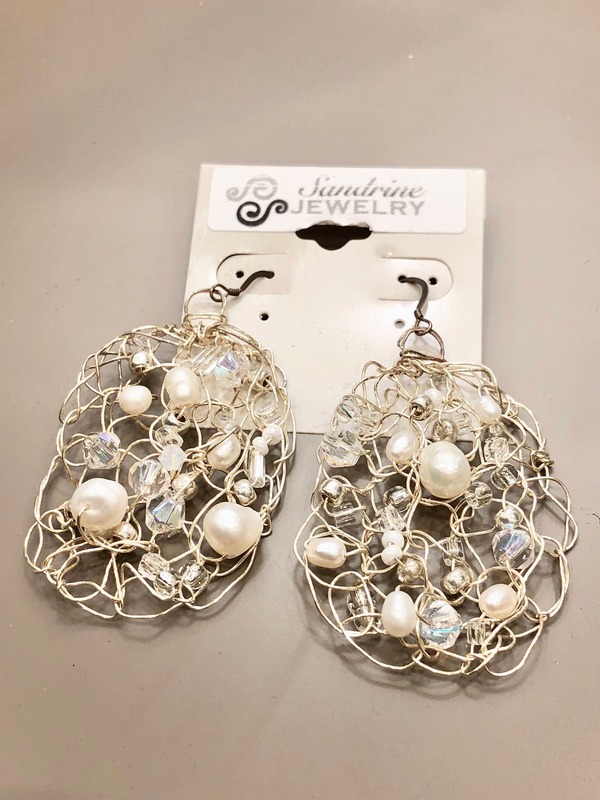 Handmade sterling silver wire crochet earrings with pearls, crystal, moon stones and glass beads. 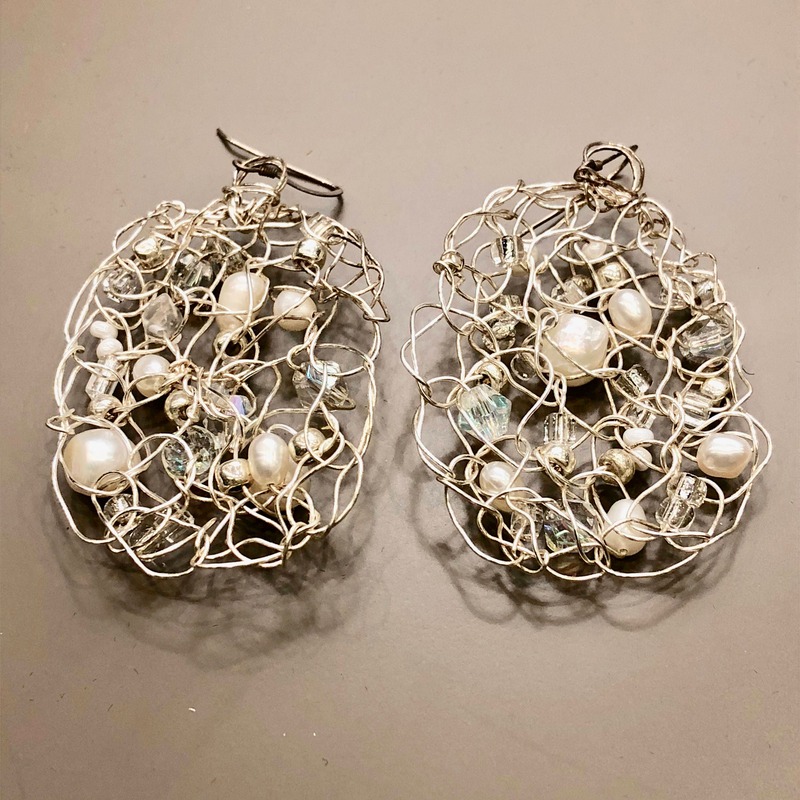 Materials: sterling silver wire with matching ear wire and white fresh water pearls, crystals, moon stones and glass beads.